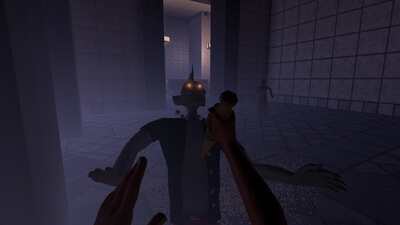 From David Pittman (Eldritch, NEON STRUCT) and Minor Key Games (Super Win the Game, Gunmetal Arcadia), Slayer Shock is a role-playing shooter about hunting vampires in Nebraska. 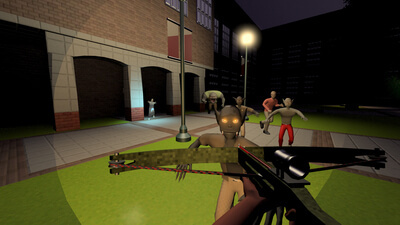 Operating from your headquarters at a college coffee shop, you take missions to patrol the streets, rescue captive humans, and weaken the undead threat. A team of fellow vampire slayers assists you from HQ, providing new weapons, skills, and research. 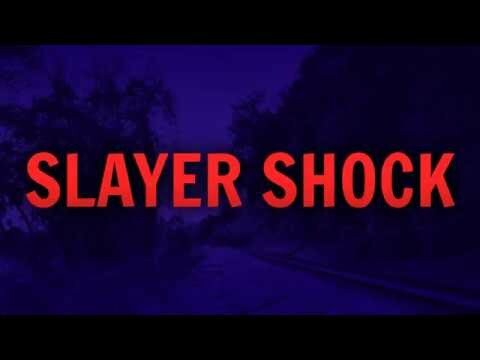 With a format that lovingly recalls scripted television (missions are "episodes", each campaign is a "season"), Slayer Shock blends immersive first-person action, lightweight strategy, and procedural narrative into a uniquely thrilling experience. Assemble a team, hunt the vampires, and save your hometown! Despite the scrappiness, there is something special about this oddball Buffy-alike. A fun concept and diverting combat don't make up for how slight and repetitive Slayer Shock is. If Slayer Shock is to have a long afterlife, it will come not from binging, but from slow, careful forays into its Hellmouth.